Saturday was spent cruising around Beverly Dr. with a delicious lunch date at Mulberry Street Pizza and a very dangerous stop at XIV Karats (which of course had drooling over everything). It was the absolute perfect way to spend the day! If you missed Friday's exciting news, click this link to sign up and find out when Shop Frankie's launches in the Fall! I think your recent outfits have been some of my favourites of yours, ever... especially 3.1 + Announcement and Cute Style. Bad Name posts! What incredible style you have Nicole :) I'm excited to find out more about your soon to be launched venture! Im flapping around with excitment - why? because I have some very similar boots and now Im feeling slightly cool! i adore your western shirt chica!! i love that it's pink and blue!! LOVE! Yay for checked shirts and for the gorge Philip Lim boots in the previous post. Love the jacket and top and well, everything about that outfit. So western chic! Looking super cute, girl! So cute! And I cannot wait for Fall!!! I am so excited for you and your new adventure. so excited for the Shop Frankie's launch!! LOVE these boots and the chain jewelry, girl! SO can't wait to see the lunch of your shop! And this looks is great! I've always been a fan of that type of shirt and just ordered myself one from H&M, only their delivery takes forever...let's see when it arrives!! And are those the Ray Ban cat eye sunglasses? At least they look a lot like them! So cutesy & casual! Love the little booties and that necklace is perfecto! Still so excited to see what you've got in store, m'dear... SO exciting!! LOVING those Old Navy boots. I looked at them a few weeks ago and may have to go back and pick up a pair. I'm always a fan of a good plaid shirt! It's definitely a staple for the upcoming fall season! Hope you had a great weekend. Cute look! Love the western feel. You look amazing as always!!!! I can't wait til it gets cooler so I can wear the boots I just got like that!!! 80degrees is far to warm for boots! Love the color of the shirt, adore the booties, love the chunky necklace-amazing outfit from head to toe! I LOVE THIS look and what a wonderful LV....always wanted one. that outdoorsy look It suits you well. so western chic! Great Old Navy boots....VERY Isabel Marant- like. Ugh, XIV Karats...love that place! Ah, loving the plaid and of course the boots! you make western chic! xo LOVE it! Yeehaw! Diggin' it. That necklace really kicks it up a notch! 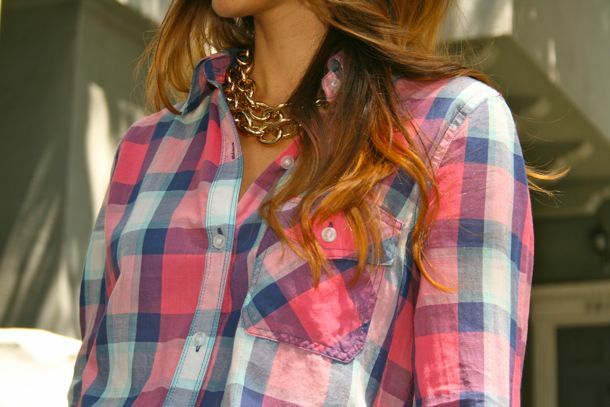 I love that F21 plaid top - such a great look! cute outfit! ... i was thinking of selling a few things through my blog too! - great minds think alike!!!! Love the booties! I actually saw these and almost got them but decided to hold out for gray. Love them paired with this plaid top!! Hi1 Cute look. I know that shirt. I got the same one weeks ago. Love it! amazing outfit! your shirt is adorable, and shoes as well! this is the perfect western look! I love the shade of your jeans. 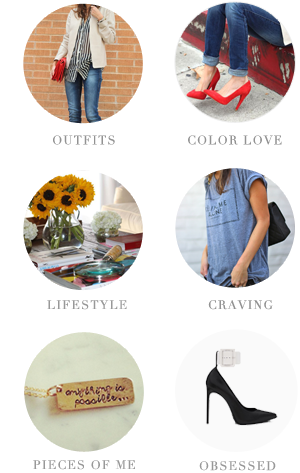 So casual, cool, and cute! Love this outfit! Very chic. The boots are just perfect! Western girl with a LV bag.. Dammm ..
Those are seriously from Old Navy?! Wow! I love this outfit! You made it kind of a trendy western look, and it is fabulous. I need that necklace, now!! Cool on the store! I had missed your post, but I'm all signed up now and I followed shop frankies on twitter and facebook. I'm loving this western look, so cute with the booties. This is my kind of look! Love it! Love your western look! I'm sure a trip to XIV Karats would lead to a loonngg want list!